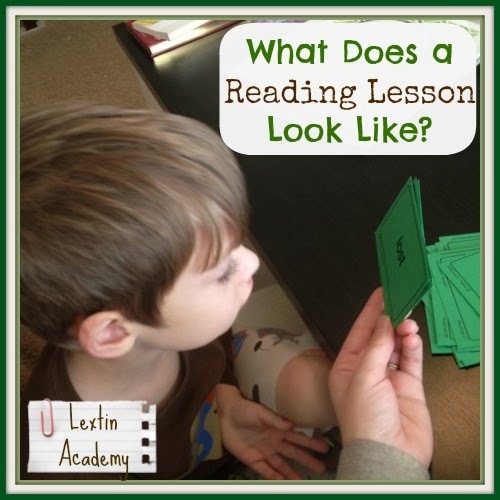 I know you’re just dying to get the inside scoop on a reading lesson, right? I mean, teaching a child to read has to be one of the most exciting and rewarding things ever! What could be more incredible than helping your child crack the code to the written word? I used to think this way. Then I started homeschooling. And I quickly learned that I hate teaching my children to read. I cannot stand it. Why? Because it’s more of a struggle for me than for them. I want them to be able to read so badly because I love to read and everyone else should love to read. And well, I’ve just been reading for so long and it’s just so easy that I cannot fathom why it is so darn near impossible for them to get the hang of the reading thing. How many times must we sound out “sit’? Really??? Enough already! Read the word! And that’s when I know that I’m losing my patience. So, I hate teaching reading because it makes me want to lose my patience faster than about anything else I have ever done. It has nothing to do with my kids and probably everything to do with me. But I still don’t like it. Lest you still think that teaching a child to read is a wonderful fairy tale filled with easy success or you think that you’re the pillar of patience and encouragement and that I’m somehow an utter failure, let me give you a taste of a reading lesson with Tiger. Each day we review his phonogram cards so he doesn’t forget his letter sounds – which somehow he still manages to do. Gracious the sounds never change! But we still forget them, mix them up, and make up new sounds. “C” does not make a “sh” sound ever! English might be crazy sometimes but it just isn’t that nutty! After we review his phonogram cards I paste on my smiling face and grit my teeth as I pull out his word cards for review. Every day we review the newer cards – the ones he still has to sound out each time. We review all those words every single day. Then I give him a short review of about a dozen review cards that he should now know by sight without having to sound out. You can sound it out though. You’ll figure it out! Ok, you have to look at the word. You’re not looking at the card. Look at it over here and let’s try. Well, let’s do this together. What’s the first letter of the word? What sound does that letter make? Right! Good job! Now do the rest! No, you can do it! Try again. Very close! Look at the vowel in the middle. See what it is? What does that say? Ok, now let’s try the word again. Nope, look at the first letter. What sound does that make? Yes, ok now read the rest. Very close! Try it again. I think you’re missing one sound. No, it’s not. Let’s sound it out together. Take your blanket off your head so you can see the word. No, you can’t see it. Your blankie is over your face. We’re forgetting the “t” sound. Try it again with a “t” in there. I don’t known that one! I can’t remember! Let’s just try the first sound. I need you to look at the card. The card is over here. What is this first sound? But please stop petting the blanket. You have to look up here. I know but it can’t be on your head while you’re reading. Ok………look at this word. What is it? Stop tearing a hole in your pants. Look up here and let’s do the first sound. Yes! Good! Now you know the rest! Ok, get back up here and let’s keep going. You almost have it! But get out from under the table. I need you up here in your chair. Yes! You got it! Great job! And it’s been 10 minutes and we’ve read 3 words. AWESOME! Can I please curl up under my chair and cry? This is not fun! And we do this every single day! We still have a reader to work on and games to play next. Not fun games really….they all require reading. Someone help me! My Tiger boy so badly does want to read on his own. He sits and pages through books on his own, looking at pictures and pretending to read them. I read to him daily – all kinds of adventure and mystery books that he loves. He is surrounded by books and he wants to read them. He wants that independence. He chases after success every day only to be disappointed as written words still elude him. He just hasn’t quite figured out the written word yet. Ok, and before anyone comments. Yes, I know all children read on their own timetable. We’re moving at a slow pace and letting him get all the practice he needs. I’m not stressed that he’ll never read. I know he’s a boy and some boys take longer to learn reading skills. I’m fine with that. And yes, I know that movement is important for some kids to learn. I always let him hold something to fidget with while he reads. However, any little thing distracts him so we keep our stuff to a minimum at reading time. We’ve taken breaks, tried new things, and practiced in every way I can possibly imagine. Yes, I’ve read blogs and books with advice. I’ve talked with other homeschool moms and listened to their wise words. We’ve tried lots of approaches! Here’s what I’ve learned so far from my research and real world experience with teaching two (only 2 out of 5!!!) of my children how to read. This reading thing is hard and it takes some time to figure out. But once you make some progress the reward is so worth it. It is awesome to see them light up with understanding and watch them explore books on their own. But in the meantime, the reading lessons are a huge test of my patience. I so dread them no matter how hard I try to make them fun and interesting. I currently use All About Reading to teach my children to read and they are making great progress (if slow…). You can learn more about the program by clicking on my affiliate link below. Been there! I have very vague memories of learning to read plus the accepted wisdom that I could read when I started school just before I was five. It seemed a very easy process now I'm not so sure. Yes, there is progress but it has taken so much time, energy and research. The there are all those people whose children learn to read aged 3 and say "You just need to read to them". I've read aloud for hours and hours. Thankfully, we can now see the light at the end of the tunnel but the tunnel has been three years long. I'm in no means trying to make a "diagnosis" or anything of that sort. 😉 What you've written has reminded me of my son, who is dyslexic. Again, I'm not suggesting your son is…he's probably not. I just wanted to throw this out there to your other readers that if their child continually has a difficult time learning to read and pretty much dislikes learning how to, and writing, PLEASE check out the warning signs from All About Learning Press and Barton Spelling and Reading! After many tries of many curriculums, and after watching Susan Barton's seminars online for free, there was a HUGE lightbulb moment or two. In a nutshell, if you believe your child is dyslexic, they will not learn to read very easily without an Orton-Gillingham based program. We tried AAR, but it just didn't fit our needs, and didn't teach me enough to teach him. All of this to say…I'm not trying to tell you what to do, not anyone else. 🙂 I just feel lead to share our experience because had I known earlier he was dyslexic, I wouldn't have pushed reading as young as I did, and I would have started with Barton from the beginning. **Please note, not everyone is able to teach on this system, so please do your research! God bless! And hugs…I can really empathize with what you've written. In God's timing, not ours, my dear!